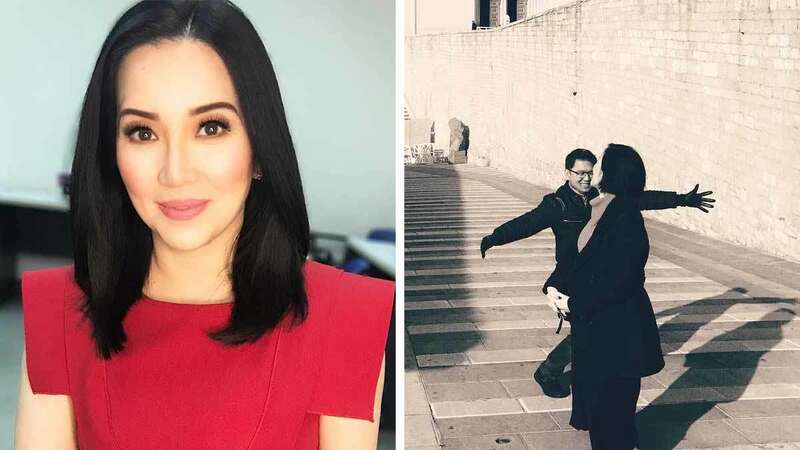 Kris Aquino took to Instagram to share an image taken exactly a year ago with Quezon City mayor Herbert Bautista when they spent time together in Italy in 2017. According to the 46-year-old star, the photo, captured in front of the Basilica of Saint Francis of Assisi, shows the "weird and special friendship" that they have. In a lengthy caption, Kris shared, "If you check your phone (I'm not sure if it's the same for Android ones) BUT for iPhone photos, there will be MEMORIES, and 'ON THIS DAY' will show pics for that day from your cloud. This picture was there last night, I was photobombed outside of the Basilica of St. Francis in Assisi. I hope my friend @iamgarygarcia can recall the exact number of places of worship we prayed in that Sunday, January 22, 2017. I'm sure we went to more than 10 churches and chapels in Assisi and Rome with Gary and the mayor's closest friends since his youth." She added, "I'm sharing this picture now because Mayor Herbert and I have a weird and special friendship, and this one picture represents to me perfectly who and what we are to each other. He took that free day from the 2017 peace talks to give in to my wish to really pray in as many Churches as possible. I texted him last night to share good news about new endorsements. And I THANKED HIM—because he prayed with me when my one prayer was to just be given a chance to say goodbye properly to a career I loved passionately and for God to heal me with the gift of becoming OKAY again. I dared not even pray for more—just for acceptance in where my life was then. But in surrendering to God's plan, He totally RESTORED my life. A year after that day of quiet, private prayer with a REAL FRIEND, let where I am 366 days after be proof that we just need to have enough FAITH to let go and let God. #gratitude." It was in 2014 when the Kris and Herbert went public about their short-lived romance. In May 2017, Kris first talked about her "wholesome and prayerful" time with Mayor Herbert. Before 2017 ended, she also revealed that Herbert proposed to her when they were in Italy but she returned the ring the day after. In a previous interview, she said, "I returned it the next day because I said that we will always have responsibilities that came before he and I met." Early this month, Kris shared a special video of her nanny in a wedding ceremony presided by the Quezon City mayor.